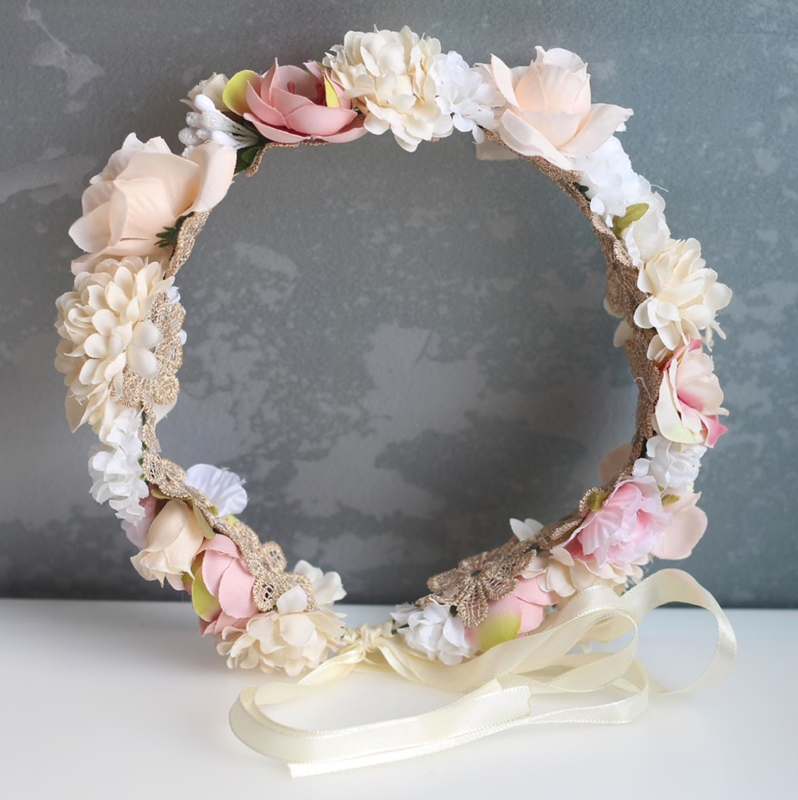 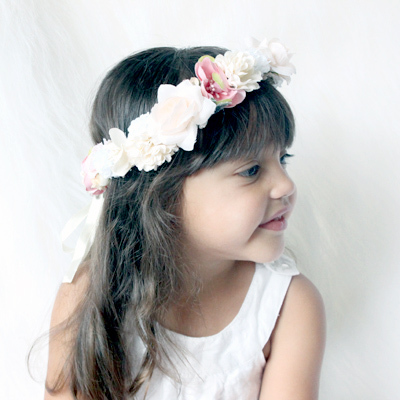 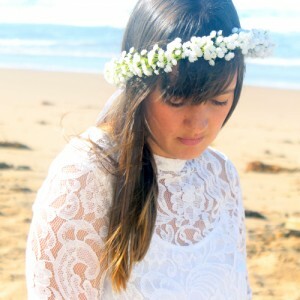 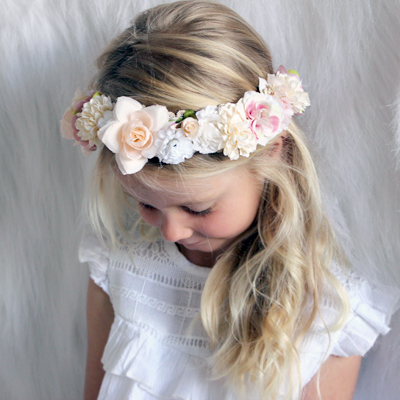 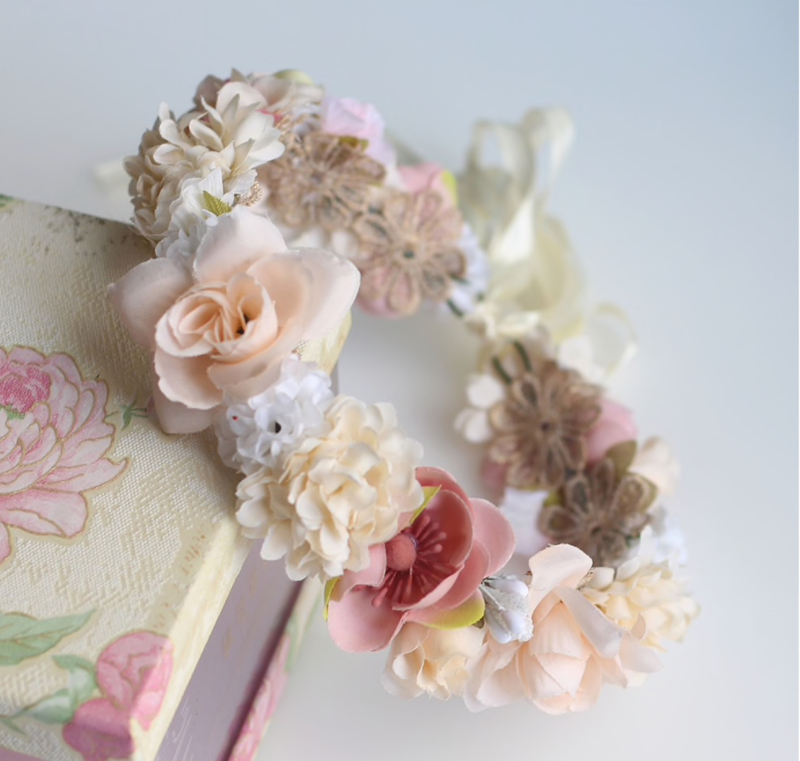 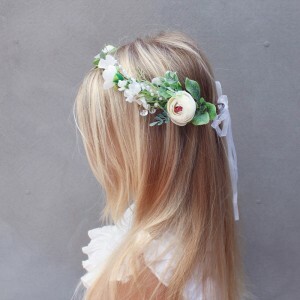 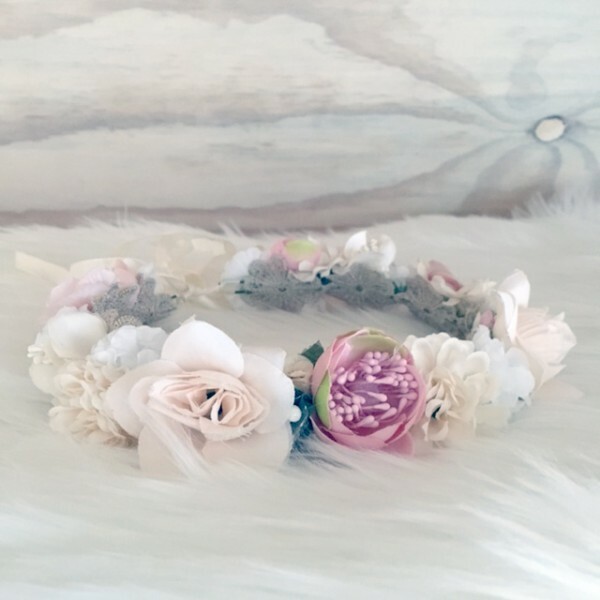 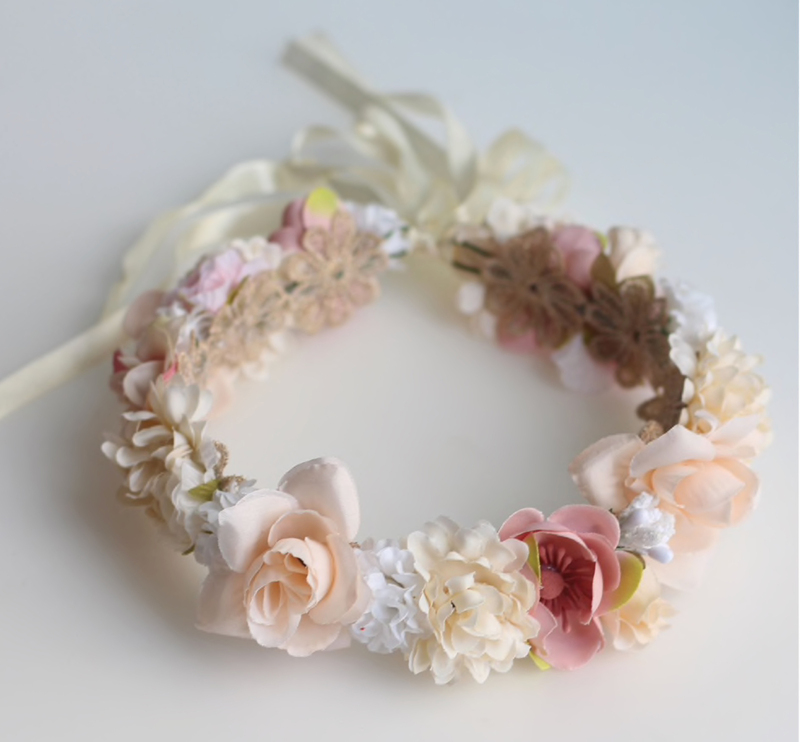 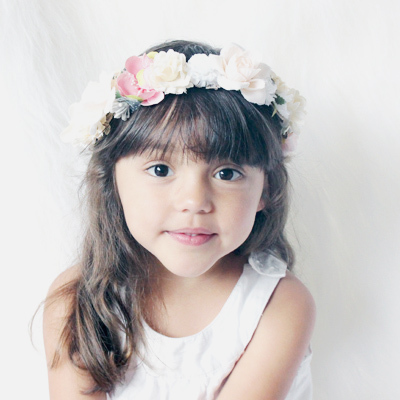 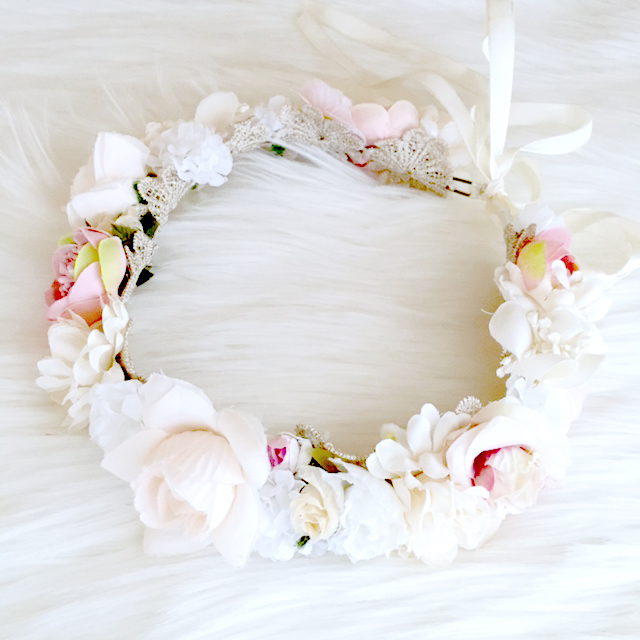 So pretty, this flower crown includes soft peach, pink & ivory silk florals with an ivory ribbon. 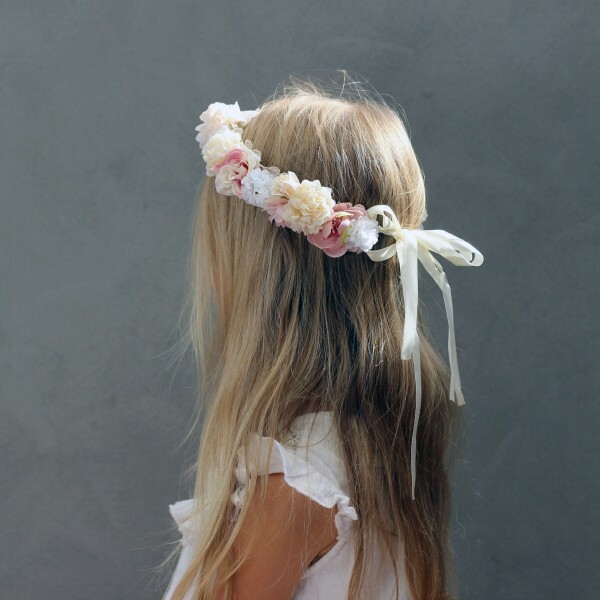 One size fits all from kids 1Yr – Adult (minimum head circumference of 45cm). 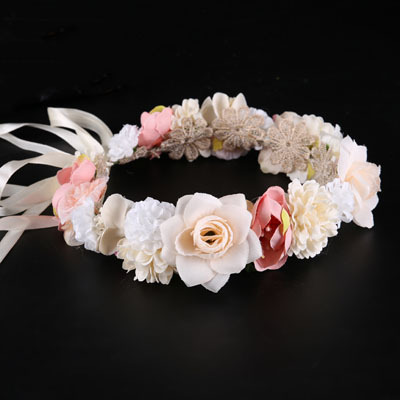 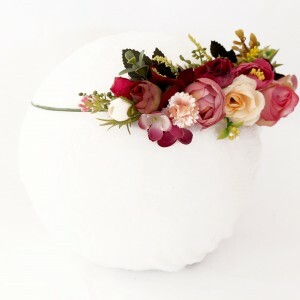 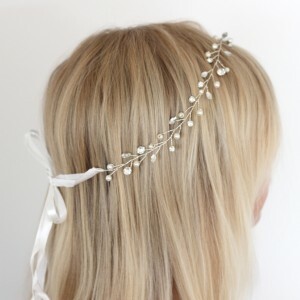 Great for flower girls, weddings and party wear.